Showcased just hours ago at Detroit’s Eastern Market, the new 2017 Honda CR-V continues to raise the bar of what a compact SUV should be, starting with its appearance. 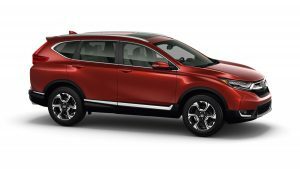 Sporting a new athletic presence, the CR-V features wide, muscular fenders, dual exhausts, and an all-new Automatic Shutter Grille System, lowering aerodynamic drag. 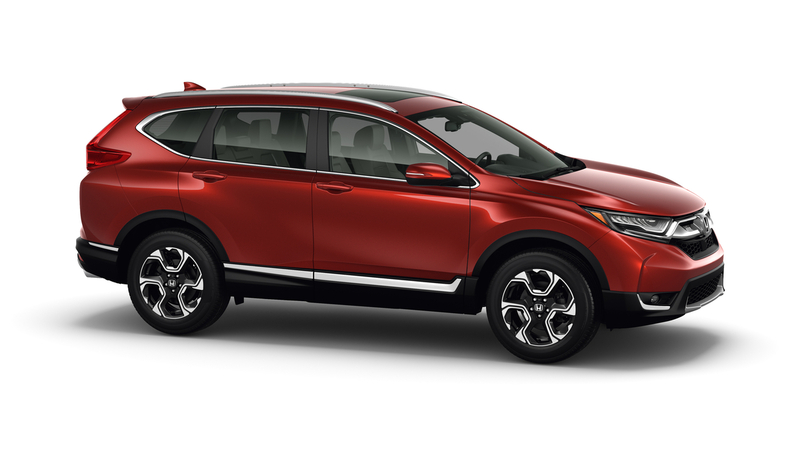 Adding convenience to design, the CR-V also includes signature Honda LED headlights (Touring trim), rain sensing windshield wipers, and a Hands-Free Access Power Tailgate; a Honda first. Under the hood, you’ll find the CR-V’s first ever turbocharged, 1.5 liter engine (EX trims and higher), which promotes 190 horsepower without sacrificing fuel efficiency. This new power directly complements the all-new body and chassis design of the model, which facilitates more agile and confident handling. Tubular front and rear stabilizer bars on both the FWD and AWD models promote flatter cornering and quicker turns, while dual-pinion, Electric Power Steering (EPS) wraps the whole package in a neat bow. The interior continues to deliver top of the class space and legroom, and features a new-soft touch instrument panel in addition to intricately stitched seating. 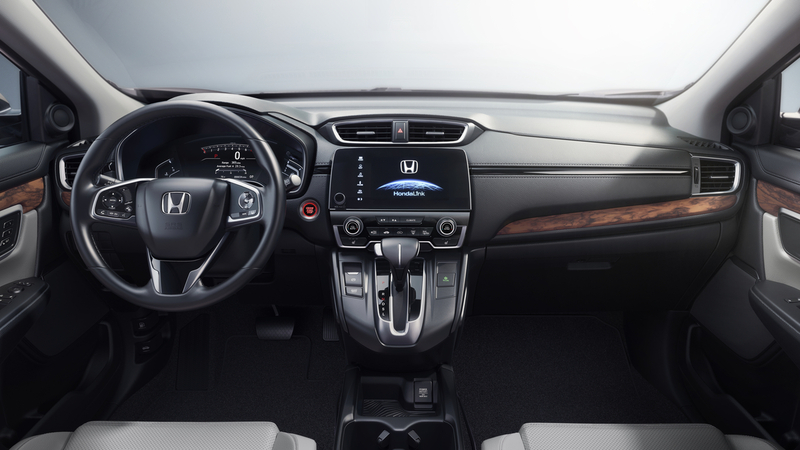 New technology, such as the Honda Satellite-Linked Navigation System, blends effortlessly with Android Auto and Apple CarPlay to create the new standard of convenience and connectivity in a compact SUV. Rounding out this suite of new features is the inclusion of remote engine start, dual zone climate control, heated side mirrors, and rear USB charging ports. 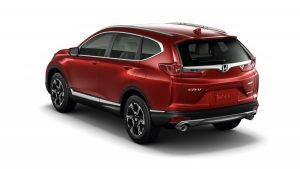 When the 2015 CR-V debuted Honda Sensing, it captured the attention of consumers and critics alike, helping it to earn the 2015 Motor Trend Sport Utility of the Year award. Now, the 2017 CR-V continues to set the pace by adding Honda Sensing to all trims EX and higher, providing Road Departure Mitigation, Adaptive Cruise Control, and Lane Keeping Assist (to name a few) to an estimated 75% of new CR-V owners. 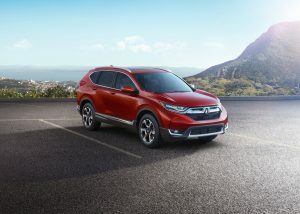 This technology is coupled with Honda’s Advanced Compatibility Engineering™ (ACE™) body structure, which aims to receive the highest possible marks in overall safety from the National Highway Traffic Safety Administration in addition to the Insurance Institute for Highway Safety. 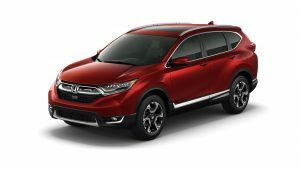 While a date has yet to be set for the car to be released into showrooms across the country, Honda is promising a “winter” sale date for expectant buyers. Error - Error validating access token: Session has expired on Tuesday, 06-Feb-18 09:00:00 PST. The current time is Friday, 19-Apr-19 17:20:05 PDT.